Gov. Larry Hogan announced that Maryland has submitted an application for a U.S. Department of Transportation (USDOT) INFRA grant to double-stack the Howard Street Tunnel and assisted Washington County in submitting its INFRA grant application for I-81/Halfway Boulevard Freight Connection in Western Maryland. 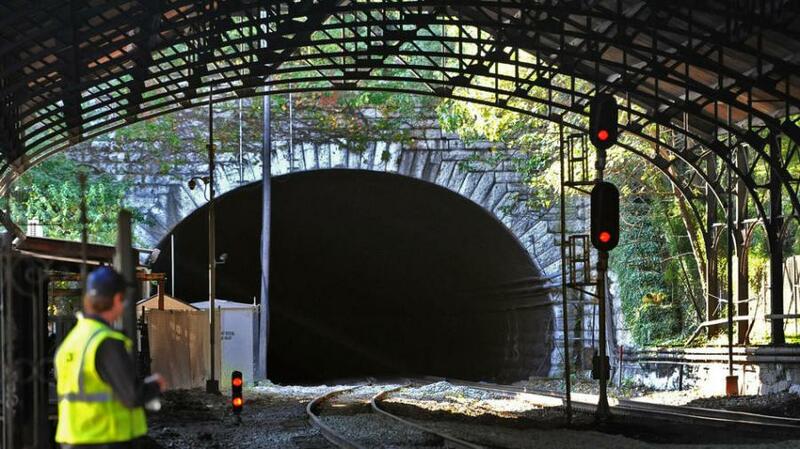 The INFRA grant application submission for the Howard Street Tunnel follows the Hogan administration's year-long negotiations with CSX to restore the State of Maryland/CSX partnership to rebuild the Howard Street Tunnel that was delayed by previous CSX leadership in October 2017. Reconstructing CSX's 124-year-old tunnel will break a rail bottleneck that impacts the entire East Coast and finally allow double-stack trains to reach the Helen Delich Bentley Port of Baltimore. "This is an essential project for the Port of Baltimore, State of Maryland, and the entire East Coast," said Gov. Hogan. "Reconstructing the Howard Street Tunnel will create thousands of jobs, open up new trade lanes for the Port, and improve overall freight rail service across our nation. I'd like to thank our leadership team at the Port and CSX for their partnership and willingness to continue working with us on a solution. We look forward to working with our federal partners to make this transformative project a reality." Jim White, executive director of the Maryland Department of Transportation's (MDOT) Maryland Port Administration, led the discussions for the state of Maryland. In addition to his advocacy for the project, the MDOT Howard Street Tunnel application received more than 100 endorsements across Maryland and up and down the East Coast. MDOT received support letters from a vast range of people representing businesses, environmental groups, and government calling for federal funding to make necessary infrastructure adjustments to the Howard Street Tunnel. "CSX is pleased to partner with Governor Hogan and the state of Maryland on the Howard Street Tunnel project to help improve our nation's freight transportation system, maximize freight rail capacity, and increase intermodal connectivity between the northeastern and southeastern United States," said James M. Foote, president and chief executive officer of CSX. Height restrictions within CSX's Howard Street Tunnel currently prevent the shipment of double-stacked intermodal containers (two shipping containers stacked on top of each other) by rail to and from the Port of Baltimore and up and down the East Coast. Double-stack provides a more cost-effective way to transport freight by rail than by truck. The added benefit is that it also will take more trucks off our interstates, reducing congestion along the entire I-95 corridor and delivering environmental benefits with less emissions and cleaner air by moving more freight by rail. For years, reconstruction of the Howard Street Tunnel to accommodate double-stack intermodal trains was believed to cost between $1 billion and $3 billion and be highly disruptive to the surrounding community. By utilizing recent advances in construction technology, CSX and MDOT have determined it is now possible to provide double-stack clearance in the tunnel and under 22 bridges between Baltimore and Philadelphia for $466 million with minimal impact to the surrounding communities. CSX and the state have committed a combined minimum of $238 million toward this effort, with $147 million from the state and $91 million from CSX, and the state is seeking federal funds for the balance of the project cost. With its supersized cranes and deep container berth, the Port of Baltimore is one of only a few East Coast ports that can accommodate the biggest ships in the world. The Port's next goal is to allow trains carrying containers to be double-stacked, which would increase port business and maintain and grow jobs. The Port of Baltimore would handle approximately 80,000 additional containers annually once the Howard Street Tunnel is reconstructed. A recent economic report shows record numbers for the public and private terminals in 2017. Among the nation's ports, the Port of Baltimore ranks first for autos and light trucks, roll on/roll off heavy farm and construction machinery, and imported sugar. The Port ranks second in exported coal. Overall, the Port ranks ninth among all ports for the total dollar value of cargo and 12th in foreign cargo tonnage. Business at the Port of Baltimore generates about 15,330 direct jobs, while more than 139,000 jobs in Maryland are linked to port activities. According to the U.S. Bureau of Labor Statistics, the Port's average annual salary for the direct job holder is 9.5 percent higher than the average annual wage for the State of Maryland. The Port is responsible for $3.3 billion in personal wages and salary and $395 million in state and local tax revenues. The Port of Baltimore generated $2.6 billion in business revenues. In addition to submitting an INFRA grant application for the Howard Street Tunnel, the Hogan administration assisted Washington County in submitting its INFRA grant application for 1-81/Halfway Boulevard Freight Connection in Western Maryland to widen an additional 3.5 mi. of the I-81 corridor between MD 63/MD 68 and Halfway Boulevard, including a segment of Halfway Boulevard. The state, local, and private investments are a combined commitment of $51 million for this INFRA grant, with a federal ask of $55 million for a total of a $106 million project. The $51 million match includes $42.6 million from the state, $3.2 million from the county, $1.4 million from private industry, and $3.8 million from the Appalachian Regional Commission (ARC). Gov. Hogan announced the additional $5 million design funding for Phase 2 in December 2016. This project builds on the Hogan administration's $103 million construction project, which began in the fall of 2016, to upgrade and widen Interstate 81 from U.S. 11 in West Virginia to MD 63/MD 68 in Maryland. The $103 million construction project also includes widening and upgrading the bridges over the Potomac River, as well as the bridges over MD 63/MD 68. West Virginia will reimburse MDOT for $38 million of the total cost for widening I-81 on its side of the bridge. The project is on schedule and expected to be completed in 2020.